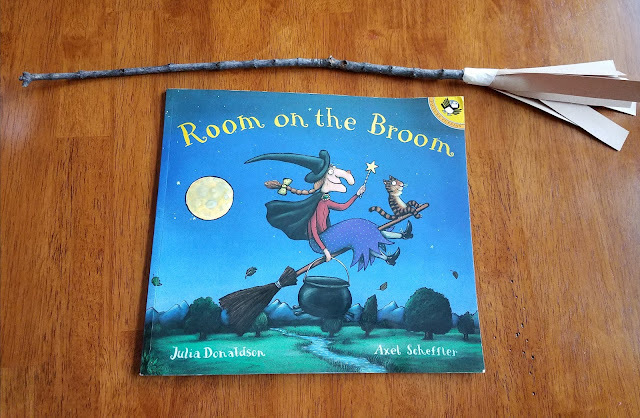 Daycare kids absolutely LOVE the book Room on the Broom. It's a favorite this time of year and is read multiple times a day. Today we made an entire day out of it! 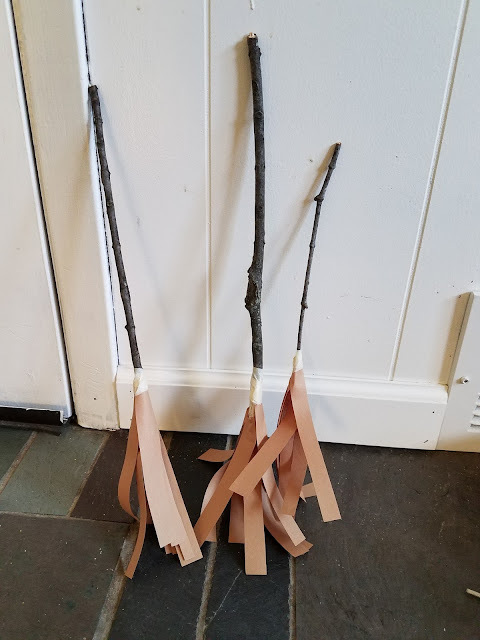 We started by reading the book, then making our own broom sticks, followed by a showing of the cartoon on Netflix (don't have Netflix? Find the DVD here), and rounding out the morning by re-enacting the book. 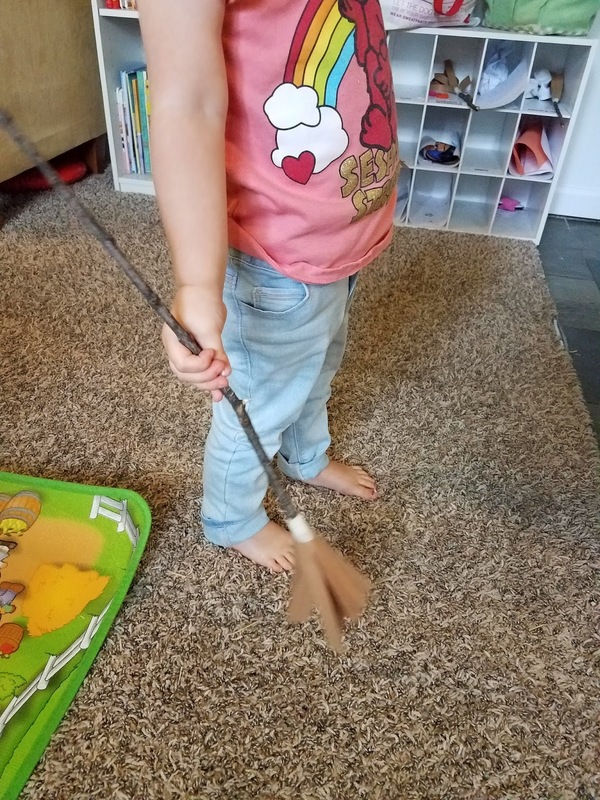 I attempted to get them to "fly" on their broom sticks but they preferred sweeping the carpet with them instead. Sticks from the yard (we had plenty to choose from), brown construction paper cut into strips, and masking tape to keep it on the stick made for a simply made art and craft. 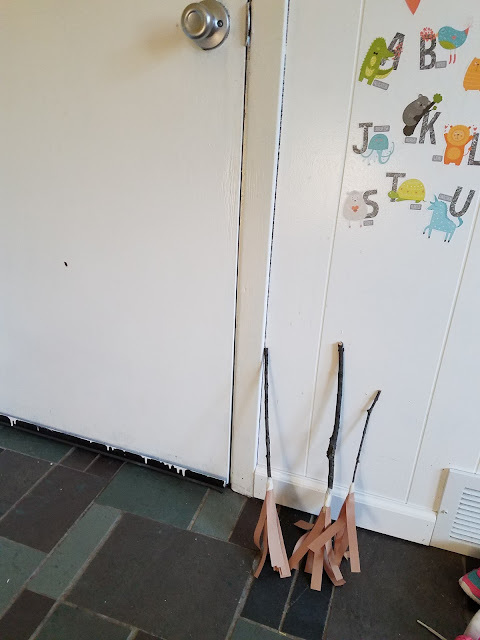 Broom ready to go by the door. You know, for easy fly away.